“Cyanometry breezily paints the multiple shades of blue present in our skies in a spectacular, airy light. The cyanometer, a circular measuring instrument made from graduating shades of blue, was conceived to measure the blueness of the sky above. It was eventually deduced by the instrument’s creator, Horace Benedict de Saussore, that the level of blueness in the sky was directly due to the amount of suspended particles present in the Earth’s atmosphere. Harry Towell, known under the name Spheruleus, has evoked the warmly inspiring feeling that enwraps us when we gaze upwards to the blue, and he has also drawn his own inspiration from the all-encompassing absolute. Cyanometry is a blazing blue which sweeps over all broadly and completely, our light sheet concealing the heavens. As far as the eye can see, outside of our peripheral vision and beyond, Cyanometry delves into our long-held fascination with the sky. It was out in the Lincolnshire countryside, amongst the trees and the fields, that Towell’s own inspiration was imagined into reality. The dazzling blue levels of the sky above attracted his vision, as so often do our hopes, dreams and prayers turn skywards. The result is Cyanometry, a spectrum of shades lit up and cuddled together closely inside one, primary colour and its many shades of blue. Through rolling skies of a deepest blue, the warmest azure, a cyan of blinding neon and a dirtied river of cool, muddied blue, Cyanometry is a perfect representation of the stratospheric shades in the air above us. One can almost imagine the sun lovingly tanning the skin as the record lightly shimmers, like a mirage in a sizzling heat, and it is as warmly inviting as the scintillating jets of blue seen in the sky. A presence of lo-fi running throughout, placed deeply into the recording process, places the light and smooth acoustic guitar melodies in the limelight and gives them an opportunity to shine. Placed alongside passive field recordings and the bubbles of hiss and crackle high in the atmosphere, the main essence of Cyanometry is discovered, and all of these elements play delightfully side by side. A hazily-lit aurora hanging over the stratosphere enters on ‘Blue Cast’, opening the album with a grainy, rainy day. 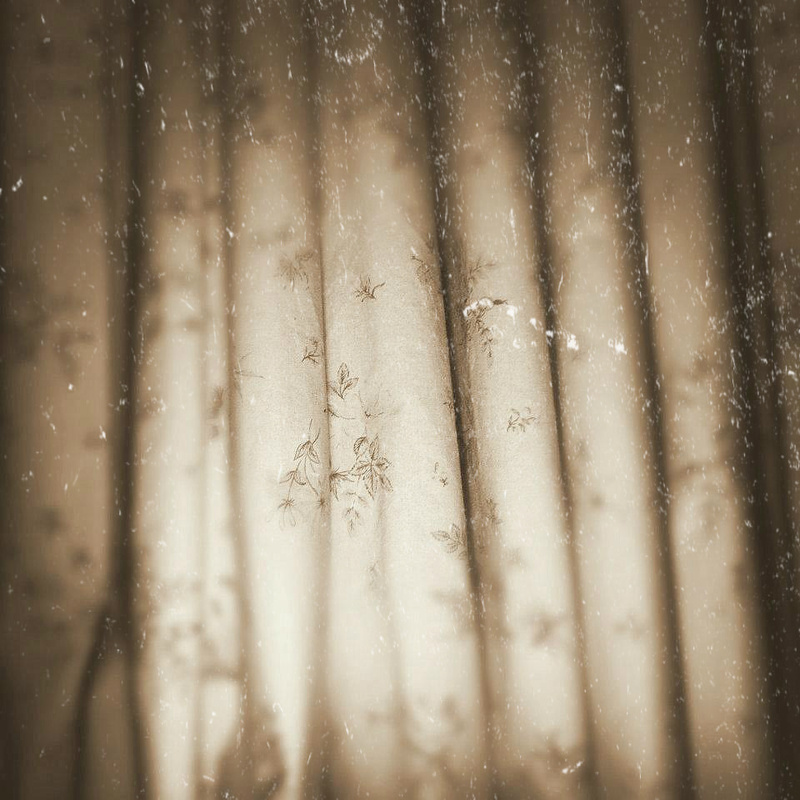 Trickles of piano sparsely echo as the rain falls down, and Cyanometry’s tone is one of a sweet melancholia, yet it is more of a guitar plagued with emotional thoughts than any real depression. The rainy, hovering drones arrive on chill winds in the air, fluctuating in a spectrum of blue and blowing the lightest of guitar melodies on the smooth breeze. The light static of radio waves which buries deeply into the music, stuck into the record and made permanent, is reminiscent of the higher altitudes of the stratosphere, where the air thins and the particles are plentiful. Similarly, the guitar also changes tones as the palette of colours change faintly; a lightly played treble to a deeper hue of blue covered in shades of reverb. Always serene, and beautifully uplifting, the grainy lo-fi could be like the tiniest of particles laying in the atmosphere, casually moving as careless as the clouds which pass through. We often take the beauty of the sky for granted, a colour that endures all and is always there. Can you remember being stunned the first time you saw the sky? Music is often described as having a specific colour or a contour, and Cyanometry plays this out to a stunning effect. The main focus is on Towell’s guitar, but his piano plays a role too. The drones, too, could be said to have a blue surrounding them, although whether or not we are suggested the colour through the naming of the tracks, or from the concept, is hard to say. The music certainly feels blue. If one listened to Cyanometry unaware of the concept, the vibe one picked up would likely be the same. If Cyanometry did represent a shape, it would be entirely circular and smooth to the touch with cute gradiations. Like our planet seen from afar, the blue stands out from everything else in its striking appearance. Although ambient music is all about setting, the sky seems to have been limited in musical scope when compared to other areas of natural beauty seen on Earth. It makes one wonder why this is the way, as the sky links deeply with a part of ourselves forever bound to the blue. Thankfully, though, this makes Spheruleus all the more refreshing. Our despondency of a broken heart makes the stunningly serene ‘Blueprints’ all the more lovely, and all the more appreciated. Like stepping out into the light of hope after a colder spell, ‘Blueprints’ is a golden defrosting of promise, a melting of the heart and spirit. Once again, it deepens the ambient shade as a lovely breeze of two faithful drones rise and fall, shimmering smoothly like light illuminating a glistening line of pebbles, refracting and returning. Voices rise from another place, and the crackly and sparkling drones shine out the brightest blue, revealing delicately the gentle frailties of the light and changing shades with every passing second. It could be similar to the comfort seen in white, fluffy clouds sailing through the blue, or feathery, white pillows inviting a dream. It is the most tranquil piece gracing Cyanometry. It’s like gazing out of a window on wings of silence, soaring at forty-thousand feet. The light blue guitar of ‘Horizon’ mirrors the late day of a summer afternoon, as the light heads towards the lower levels of dusk. The ascending and descending lines of the strings, and the crackles which accompany them, glide softly as if on a wispy breeze. Especially in this track, it seems, the crackles represent the altitudes of the air particles floating on thermal winds, responsible for turning our sky the different shades we are allowed to see. The sensations of peace very much bring to the inner eyes a countryside bathed in light. Cyanometry bathes in this light with abundance. As the guitar gently repeats, we could easily imagine ourselves out in a peaceful, pleasant setting. The radio static, blended with Towell’s use of field recordings, adds a warm and amicable, closely compact feel, without being humid or clammy. An old lady meekly pushes a trolley through a quietly subdued English village and down shushed streets, and ice creaks and snaps on a cold, wintry morning. The gentle crinkles in the light vinyl hiss lay there naturally and unassuming in their delicate state, gently perspiring out the crackles in the recording, and the various degrees of shade add a vibrancy and vitality. Feathery and emotional, the male vocal which leads on ‘Inhibition’ is uplifting in its message -’The sky’s the limit’, and it’s also a double meaning, reflecting a blossoming optimism, like a new day bright with blue, and an appreciation for the altitudes of our atmosphere. The vocal is low enough to not become obtrusive, and it pleasantly surprises. Importantly, the vocal doesn’t get carried away with excitement. Towell shows high levels of ability, as it is not always easy to insert a vocal into an atmospheric record, but he pulls it off with an ease and it makes for a seamless transition. The vocal adds to the music, susceptible to the turbulence in the air, and Towell is content to leave it as it is, closing with the sound of birds flying high with wings spread. Sadly or not, the shades continue to turn, slowly converging towards the grey-blues of a polluted river. Cloudy days can cloud our thoughts, but the feeling that arises from Cyanometry is one of positivity. On ‘Suspended Particles’, the drones swell as if on an unexpectedly strong breeze, sailing past and displacing all around us. The guitar turns cloudier, openly and beyond doubt a shade that is ‘Lined With Silver’. The levels from the cyanometer have reversed, cooling off and altered from a blue cast into a silver-grey. Although the piano does start to slip towards a light melancholia, it always remembers the joys which colours can bring. They remain captivating no matter our age. Closing Cyanometry is ‘A Grey End To A Blue Day’, where the darkened drones have rolled in and clouded our sky utterly, much like an English summer with fifty one shades of grey. The light levels have become unbalanced and slightly moody; it is now a sullen sky, overcast and dreary. Even though this opposes our beginnings, it also reminds us that there is no permanent blue sky, in the air or in the mind. If it were forever blue, would we lose a fascination with it? Would it become a part of the everyday, and turn our colourful sky into a dull thought? As the piano trails off, softly spoken, our gaze turns upwards and upwards with an increase in worn radio signals. Up and up we rise, lenses obscured momentarily in flares, until we enter the heights of the stratosphere, and the broadcasts are reduced to a reel of undulating hiss. With only seconds remaining, a slightly jaded melody twinkles into life and clarifies our fascination with colours, emerging as young as the innocence of infancy. Cyanometry is a gift that, on opening, immerses us into the bright glaze of the sky’s light. The light is inviting, a beckoning entrance lit warmly for Towell’s atmospheres to shine through. Cyanometry is a colourful record, a spectrum of colours and hidden rainbows which shine down onto us over the course of a day. Cyanometry allows us to appreciate what we have under the blue, and how one bright, blue day can live so much longer in the memory than a grey and listless one. The day was the brightest, not just because of what we experienced, but because we were blessed with a spectacularly stunning sky. To coincide with his new album for Tessellate Recordings, Spheruleus has put together a vinyl-only mixtape spanning several laid-back genres including folk, drone and modern classical to name but a few. The mix naturally retains much of the crackle and pop that you’d expect from a vinyl mix and at times, you can hear the vaguest attempt at turntablism! The cover artwork is provided by Ruth Jones, a photographer based in Cambridgeshire, UK. For more information on her work, please visit www.ruthjones.org. Our first review has come in over the last week, from the fantastic team at A Closer Listen. They’re always a trusted source for music recommendations, with their reviews always being well-written and insightful. The team take the time to listen to each record and offer a constructive critique. “With Cyanometry, we add another to our ever-growing list of 2012′s new labels. 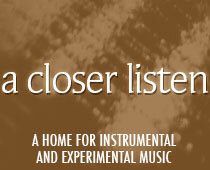 The launching of Tessellate Recordings is a huge encouragement. As major labels flounder, there’s never been a better time for small, solid achievements, and as we welcome each new contender, we cheer a little inside. Spheruleus is Harry Towell, the head of the Audio Gourmet label label and half of Paper Relics. Tessellate Recordings is his latest venture. Leaving no room for error, he takes matters into his own hands for the label’s first release. Cyanometry is a concept album, but the concept is easy to grasp once one understands the title. A cyanometer is “a circular measuring instrument made from graduating shades of blue, created to measure the blueness of the sky (based on) the amount of suspended particles in the atmosphere”. Horace Benedict de Saussore’s 1700′s invention inspired Towell to muse on such gradations and create this body of work. The titles preserve the concept: ”Blue Cast”, “Scattered Light”, “Suspended Particles”, “A Grey End To A Blue Day”. The mood and tone are blue as well; not a Miles Davis sort of blue, but a blue particular to the British countryside and the contemplative mind. Cyanometry is a soft, layered mulch in which fragments and melodies demonstrate subtle movement like shifts in the color spectrum. The most obvious layer is the music, a combination of the obvious (piano, keyboards, guitar) and the distinctive (dudek, bugle, harmonica, ukulele). But while one is attempting to follow the micro-melodies, one is also aware of shyer sources hiding beneath the music: field recordings (bicycle wheels, crackling ice) and a darkening glaze of vinyl, static and muted transmissions. These multiple layers lend the album a mysterious depth, producing the effect of shades behind shades, clouds behind clouds, blues and not-quite blues struggling for primacy. Without a cyanometer, one might fail to discern the moment each segment tips softly into the next. The thickness created by the bottom-most layer – the interference of radio waves and half-heard conversations – allows the listener to imagine the diffusion of light via the diffusion of sound. 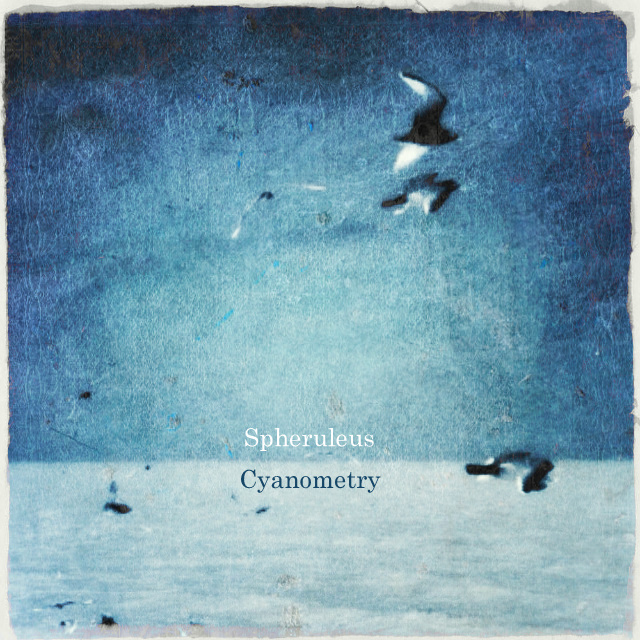 Spheruleus – Cyanometry Out Now!! At last, after half a year’s preparation, the Spheruleus album ‘Cyanometry’ is available to pre-order. I expect that the mere 50 copies released will sell out quickly, so get in quick to secure what is sure to be a sought after rarity! If you prefer a digital format, this is available in an unlimited quantity of course, complete with the bonus tracks. Visit http://tessellaterecordings.bandcamp.com/album/cyanometry for more information. “The cyanometer is a circular measuring instrument made from graduating shades of blue, originally created as means to measure the blueness of the sky. It was invented in the late 1700s by Horace Benedict de Saussore to assist his studies and fascination with the sky. He correctly supposed that the level of blueness visible in the sky was as a result of the amount of suspended particles present in the atmosphere. In recent times, not much has been written about cyanometry and a quick scour of the internet will yield you little in the way of further reading. It was on a particularly crisp blue day, the sort that would have had Saussore engaged, cyanometer at the ready when Harry Towell (Spheruleus) happened upon the concept for his latest project. He embarked on a long walk through the surrounding countryside in Lincolnshire, UK with the intention of drawing inspiration for a new body of work. He had hoped that the quiet farmland, trees, fields and electricity pylons would provide the spark required to propell his work with sound yet on that day, it was the sky that fixated him and thus Cyanometry was born. Back in the studio, Harry set about weaving his collection of acoustic instruments into his usual style of rustic melancholy. Inspired and fresh from his walk with a theme in mind, he allowed the resulting lo-fi sounds to retain their melodic properties and set them against a backdrop of noise, radio interference and vinyl crackle. Field recordings taken during the walk and at other locations filter into the mix; an old lady pushes her trolley through the backstreets of a sleepy village, ice cracks under foot on a cold morning and the cogs and gears of a bicycle turn, all the while permeated by fragments of forgotten radio broadcasts. The final stage of the recording process saw Harry team up with work colleague and piano owner Neil Winning to round off this set of short recordings with an additional element. After a short period of tweaking, the final outcome was married with track titles to reflect the varying moods of the sky.